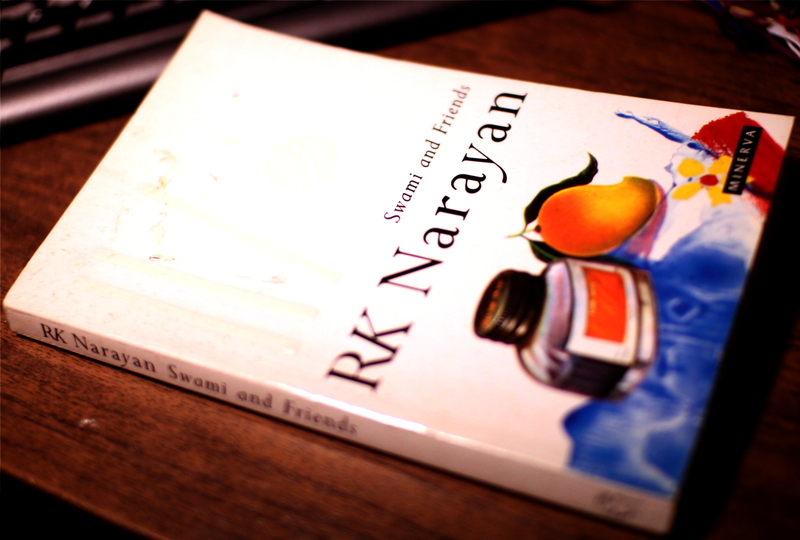 “Swami and Friends” is another great work of the South-Indian author R. K. Narayan, it was his first published novel (1935). It was Narayan’s first semi-autobiographical novel in a trilogy (second is “The Bachelor of Arts” and third is “The English Teacher”). It’s an interesting story about childhood and friendship from the perspective of a boy who’s about ten years old and constantly seems to get into trouble by being in the wrong place at the wrong time (or not being in the right one). I really liked this novel, because it reminded me of the attitudes and thought of childhood – what exactly is important when you’re a child, and what isn’t – for example cricket is important, and drill is not. Also it showed the relationships between friends and ends with a friend leaving, and the ending was the reason why I liked it so much – although a good friend moving away is not as tragic as someone dying, then for a child it is quite awful, and even for adults it’s not easy, so the final chapter is one of the sadder parts of this book. I like how Narayan uses language and how Swami, the main character seems to think and feel, and why he does certain things – there’s never malice behind his actions that get him in trouble, it’s always his childish way of looking at things or not understanding what’s happening or just plainly imagining things that aren’t there. Although it was written 80 years ago and about a fictional town in India, then it felt relevant to me, and I think it might be so for many people – despite being already in history, it feels modern. In order not to spoil the book – here’s what it’s about – switching schools, making friends and keeping them, childhood, getting lost in your way, getting mixed up in greater things, and physical violence in school. This entry was posted in Fiction, Indian literature and tagged book review, R. K. Narayan, Swami and Friends. Bookmark the permalink. Amazed that you have perused Indian lit. Swami is an absolute sweetheart. Would also recommend The God of Small Things by Arundhati Roy. I’ve got that waiting for me on my bookshelf, I’ve read Roy’s An Atlas of Impossible Longing some time ago and really liked it, I hope I’ll get to The God of Small Things soon.